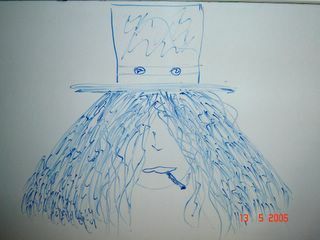 My drawing - Depiction of Slash, for which I was widely appreciated in office!!!! Or maybe castigated in office perhaps? PS:Just trying to set the record straight. I dont want you to lie in cyberspace. @avinash - dude! don't forget that you admired the art for a moment and let me give you acknowledgement for adding some finer details like the smoke from the cigar. 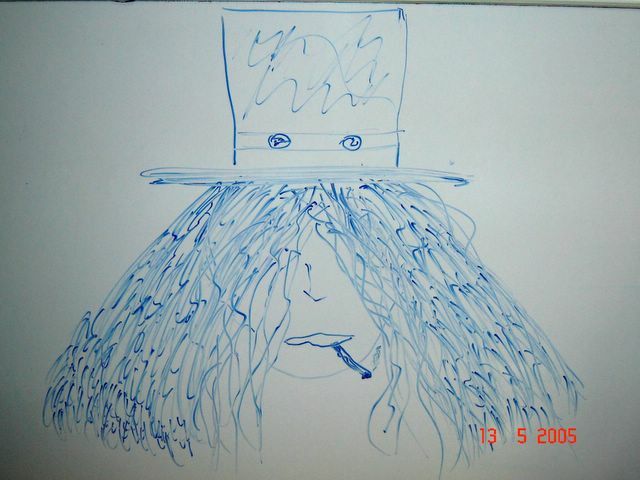 comon man - its my first time at drawing!! ya - and you have a crush on my bike!! Yikes - crush on your bike?